This is the evocative opening sequence of filmmaker Megan Mylan’s new documentary short, “After my garden grows,” which has been showcased at the 2014 Sundance Film Festival. 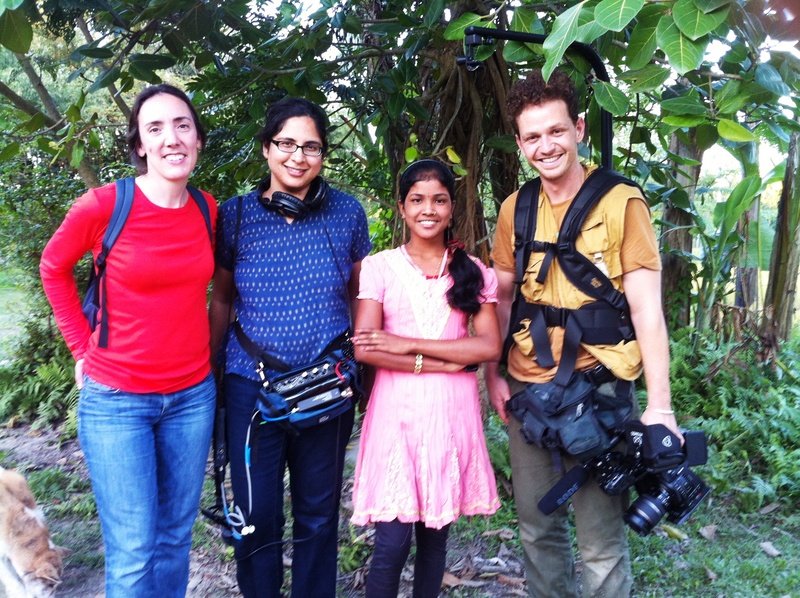 Best known for her Oscar-winning film, “Smile Pinki,” Mylan has a penchant for finding her subjects in India. If “Smile Pinki” traced the journey of Pinki Sonkar, a five-year-old girl with a severe cleft lip from a village in Varanasi, the protagonist of her latest film is Monika Barman, a resident of Bhutkura village in Cooch Behar in India’s West Bengal. Monika lives with her parents. A school dropout, this 16-year-old is the guardian of a lush vegetable garden that she has nurtured in the vicinity of her home. 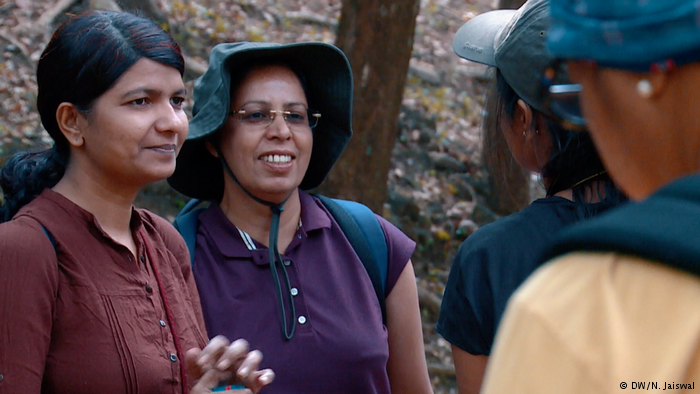 As is evident from the film, Monika grows bottle gourd, pumpkin, herbs, wild greens and mushrooms on her small plot. One instantly wonders how this quiet teenager has managed to become a master cultivator, considering the poor social status of girls like her, who are generally considered a liability to be married off even before the legal age of 18. According to the Census 2011 data, adolescents (10- to 19-year-olds) make up 20.9 percent of India’s population, which includes around 57 million girls. Many of these young women lead severely disadvantaged lives and early marriage is inevitable: in Bengal, nearly 55 percent of of the total number of marriages that take place are of minor girls below 18 years. Monika has escaped this fate until now because she is enrolled in an adolescent empowerment programme being implemented by the West Bengal government. Under SABLA, or the Rajiv Gandhi Scheme for Empowerment of Adolescent Girls, which is a centrally sponsored programme, attempts are being made to improve their nutritional status and also provide them with an education based on life skills and vocational training. A partnership between the state government (Women and Child Development Department) and Landesa, an international non-profit working on land rights issues, is enabling girls in Cooch Behar to understand their land rights and how they can secure them. Landesa firmly believes that girls need to control the resources that can help them to assert themselves and boost their standards of living. Unfortunately, adolescent girls in India rarely possess rights to the most important asset of all: land. That is why this program, informally called the Girls Project, has been initiated. During the first year of its implementation in 2012-13, the joint pilot reached out to more than 7,000 girls. Since 2013, a total of 40,000 girls, including Monika, are gaining knowledge about property and inheritance rights besides learning basic farming techniques to grow fruits and vegetables. How did Mylan come to know of this life-changing transformation taking place in a remote corner of the world? The filmmaker had initially read about it in The Seattle Times in the US in 2012. Then when she went deeper into this story, she was inspired to capture it on film. With funding from the Bill and Melinda Gates Foundation and the support of the Sundance Institute, she arrived with her crew at Bhutkura in 2013. After interacting with a few girls, Mylan zeroed in on Monika. The humdrum of an average rural Indian woman’s life find resonance in Monika’s activities – she does her chores and tills the land by day, attends a meeting at the centre and prays at sundown. She stares longingly at a group of girls going to school, a dream she hopes to fulfill from the vegetable money she is collecting. Her visit to the village haat (vegetable market) with her father is one of the highlights of the film. After she successfully negotiates the sale of a bottle gourd, the satisfaction she experiences on pocketing the Rupees 20 (25 euro cents) is priceless.